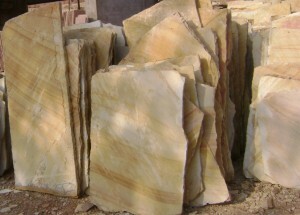 Flagstones, also known as Crazy Paving are irregular/unfixed shaped paving pattern that can be done on Indian Sandstone, Limestone and Slate stones. 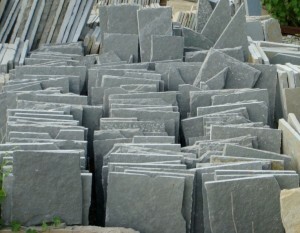 The advantages of installing flagstone paving is that it is cheaper than the stone tiles, looks alluring in gardens, internal walkways and any landscaping project. 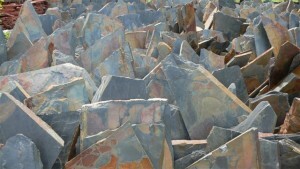 These are generally bought with a natural surface on the top, uniform sawn/ calibrated thickness and are tumbled to reduce the sharp edges and corners.